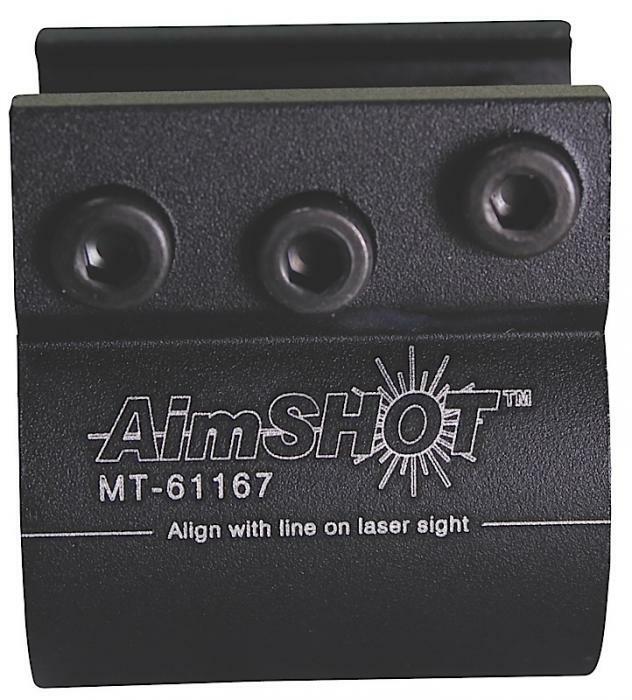 The AimShot mounting system will enable you to mount lasers on virtually any weapon - including pistols, revolvers, rifles, and shotguns. Available in both black and silver, constructed of lightweight metal, mounts are equipped with shims to accommodate any pistol or revolver including round and square trigger guards. Rifle mounts include various length screws which adjust to any diameter barrel. For shotguns, the rib vent adapter will fit any double barrel or rib vent shotgun. A weaver style mount system that will adjust to most grooved rail systems, such as HK and Glock.